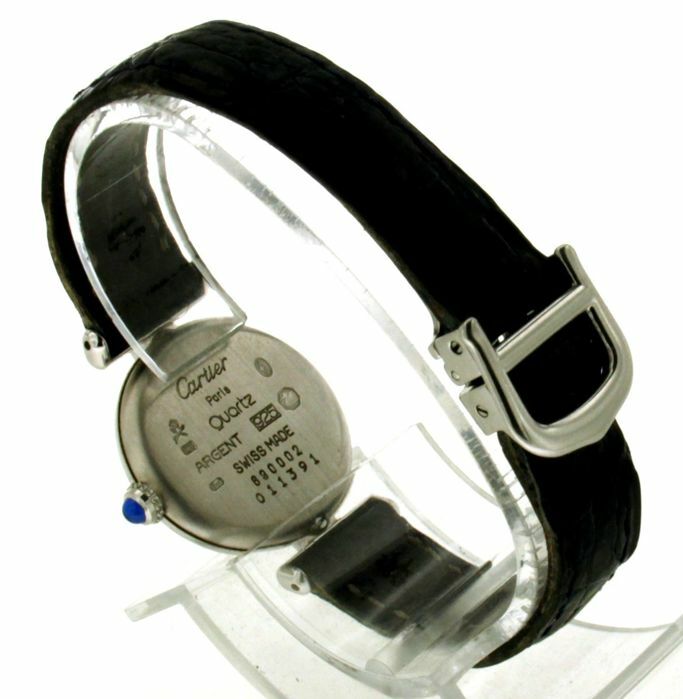 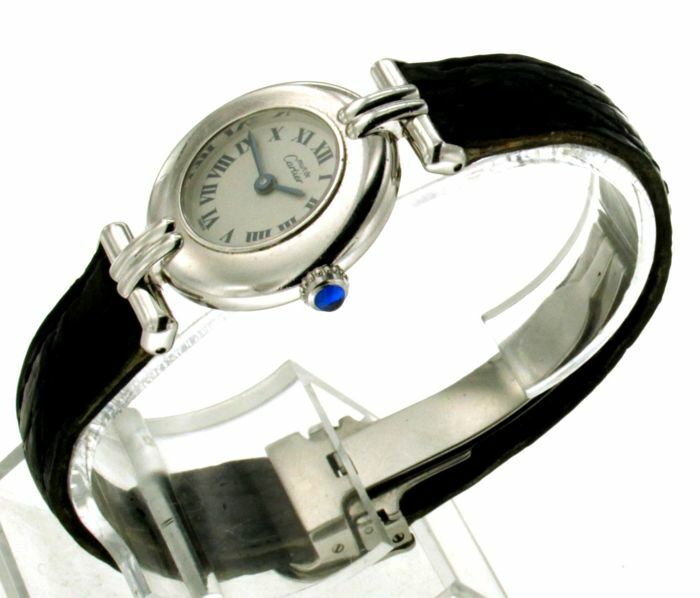 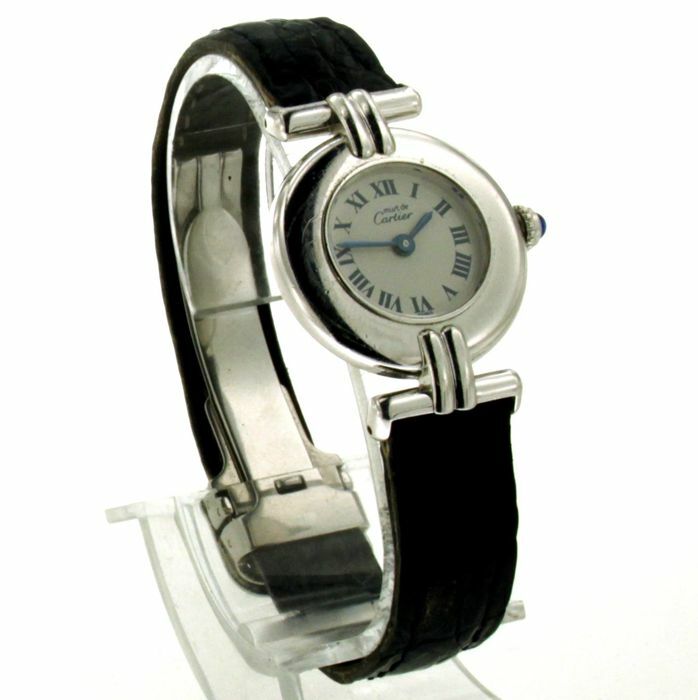 With original Cartier strap and folding clasp. 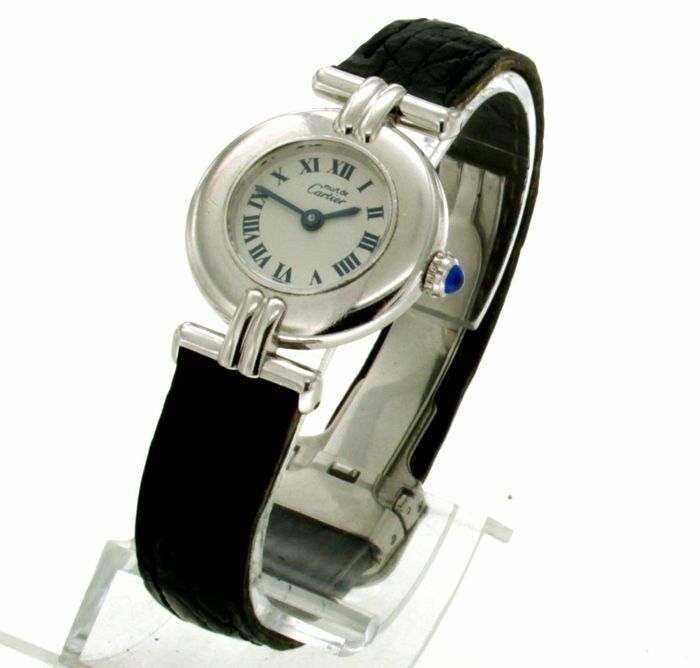 Full Roman numeral index on a white dial. 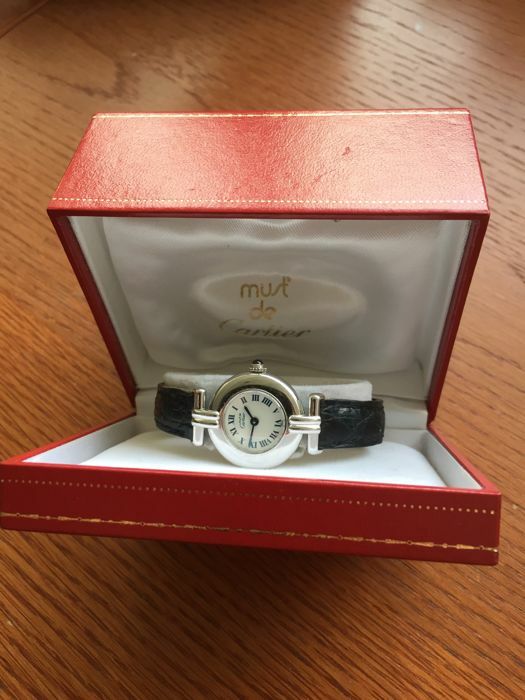 Comes in original Cartier box.